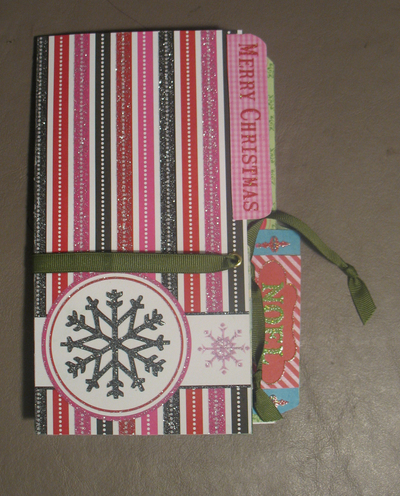 Inspired by the pictures at http://www.organizedchristmas.com and the links to the blogs there, I created my own file folder Christmas Planner. 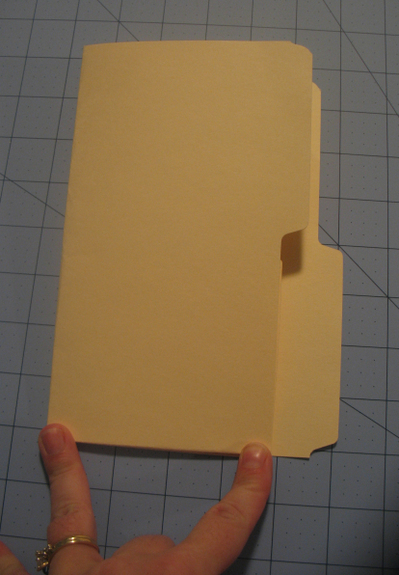 Score the folder 8" from the top and then 4" on either side of middle fold. 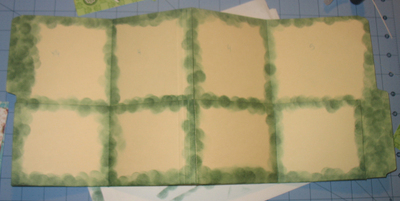 I didn't want the color of the folder to show on the edges so I inked in dark green using a sponge dauber. I like the varigated look the sponge dauber gives but you could do it more evenly, too. The image above is the back of the folder. I didn't do the middle section because I planned to adhere that closed so that the planner opened like a book instead of an accordian. However I don't think that will work out (it's too thick) so I will go back and ink those edges and cover with paper. This is the inside of the folder. Ink all the edges. Notice I completely inked the tabs too. I didn't cover this side of the tabs with paper so the green ink is all you see on it. Cut paper to fit each section. I cut mine 1/8" smaller so just a touch of green would show. 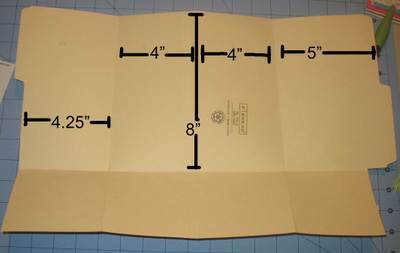 Adhere the paper to the insides of the pockets (8"x4.25", 2 8"x4", 8"x5" minux 1/8"). 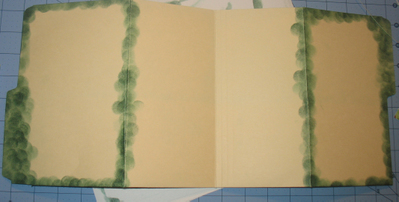 After this paper is adhered, fold up the pocket and adhere the two edges. Now cover the pockets. I cut the paper 3 5/8" high (again 1/8" smaller than the space). Cover the tabs if you want. Set two large eyelets (3/16") - one in the front cover and one in the back cover. I put my eyelets in so they helped hold the folder pockets closed. Thread the ribbon through the eyelets so that it goes around the front cover and the back of the planner and knot the ends so they don't pull through. Make sure the ribbon is long enough to open the planner all the way. I printed some of the planning pages from http://www.organizedChristmas.com and made some of my own. 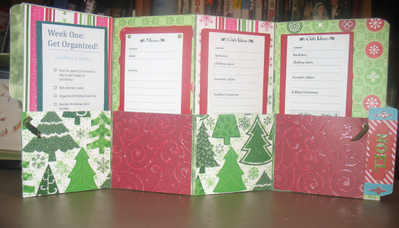 I cut cardstock 7.5"x3.25" and cut the planning pages to 7"x2.75". (I think those are the correct measurements.) For the planning pages I will use up and want to replace every year (such as the Menu Planning) I used brads to attach it to the cardstock. For the pages that will be updated every year instead of replaced (such as Gift Ideas) I just adhered it to the cardstock.